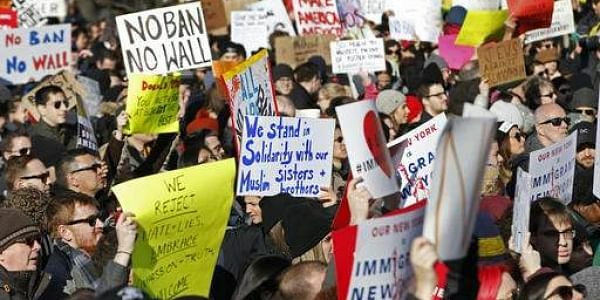 The American Civil Liberties Union sued the federal government to limit the amount of time that people can be held before seeing an immigration judge. SAN DIEGO: The American Civil Liberties Union sued the federal government to limit the amount of time that people can be held before seeing an immigration judge, saying many are held for months while waiting for an initial appearance. The lawsuit was filed Thursday in federal court on behalf of three Mexicans at a San Diego immigration detention center, but the ACLU asks to represent all people who are held on immigration violations along California's border with Mexico who are held for more than 48 hours. People "routinely languish in detention for two months or longer before they see a judge," according to lawsuit, calling the wait excessive and a violation of constitutional rights for people in custody. "The first hearing before an immigration judge, like first appearance in criminal court, is critical to ensuring due process," it says. The U.S. Department of Homeland Security, which oversees immigration detention facilities, declined to comment on pending litigation, as did the Executive Office for Immigration Review, a part of the U.S. Justice Department that oversees immigration judges. The lawsuit comes as President Donald Trump moves to significantly expand border and immigration enforcement, which will further strain already stretched detention centers and courts unless Congress provides more money. Under a 2001 U.S. Supreme Court decision, immigrants who are ordered deported cannot be held indefinitely. The government must come up with a special reason for holding people longer than six months if their countries are unlikely to take them back in the "reasonably foreseeable future." In November, a seemingly divided Supreme Court heard arguments on whether people who are awaiting a decision on whether to be deported can be held indefinitely. It can often take years for a court to decide. The latest case, filed in federal court in San Diego, deals only with the initial appearance. Bardis Vakili, an attorney for the ACLU, said immigrants in San Diego and Imperial counties tend to wait one to three months for a hearing, which he says is longer than other parts of the country. An estimated 1,500 people are held at the area's detention facilities on any given day.